The causative is a grammatical construction with a lazy subject who, rather than performing some action himself, is making someone or something else do it. 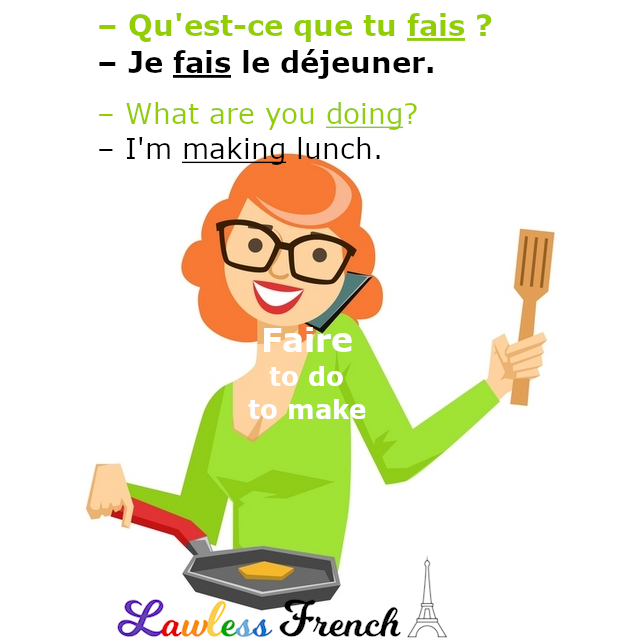 The causative may be called le causatif, la construction causative, la situation causative, or la structure causative in French, and is equivalent to "make something happen" or "have something done." Subject + faire + infinitive + agent (direct object)* = the subject is making the agent do something. Je fais étudier mes enfants chaque soir. I make my kids study every night. Il a fait aboyer le chien. He made the dog bark. Nous allons faire travailler Céline. We’re going to make Céline work. Subject + faire + infinitive + recipient (direct object) = the subject is making something happen, having something done to the recipient. Je fais tondre le gazon le samedi. I have the lawn mowed on Saturdays. Il a fait dénicher la source de ces infos. He had the source of that information tracked down. Nous allons faire garder les enfants. We’re going to have the kids babysat, have someone babysit the kids. Subject + faire + infinitive + recipient + par or à* + agent (indirect object) = the subject is making the agent do something to the recipient. Je fais tondre le gazon par / à mon fils. I have my son mow the lawn. Il a fait dénicher la source par / à Pierette. He had Pierrette track down the source of that information. Nous allons faire garder les enfants par / à Céline. We’re going to make Céline babysit the kids. Je fais faire ses devoirs par / à Jean. I make Jean do his homework. Il a fait faire une copie du document. He had a copy of the document made. Nous allons faire faire des vêtements. We’re going to have some clothes made. *Only the third construction includes a preposition in front of the agent; that is, only when there is an agent as well as a recipient. The preposition is what lets you know which person is the agent and which is the recipient. Agent J’ai fait sortir Jacques. I made Jacques go out. Recipient J’ai fait sortir les valises. I had the suitcases taken out. A + R J’ai fait sortir les valises par / à Jacques. I had Jacques take the suitcases out. Previous Quelle mouche t’a piqué ? Une explication compréhensive et formidable! Merci mille fois!